Hackers have found a new way to track you online. Aside from using advertisements and suggestions, they can now use autocomplete passwords to track you down. Feeling unsecure? Here are some ways to keep you out of harm’s way. As of December 2018, there are 4.1 billion internet users in the world. 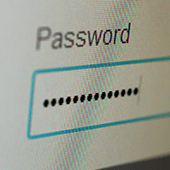 This means users have to create dozens of passwords, either to protect their account or simply to meet the password-creation requirements of the platform they’re using. Unfortunately, only 20% of US internet users have different passwords for their multiple online accounts. Certain web browsers have integrated a mechanism that enables usernames and passwords to be automatically entered into a web form. On the other hand, password manager applications have made it easy to access login credentials. But these aren’t completely safe. For over a decade, there’s been a password security tug-of-war between hackers and cybersecurity professionals. Little do many people know that shrewd digital marketers also use password auto-fill to track user activity. Digital marketing groups AdThink and OnAudience have been placing these invisible login forms on websites to track the sites that users visit. They’ve made no attempts to steal passwords, but security professionals said it wouldn’t have been hard for them to do. AdThink and OnAudience simply tracked people based on the usernames in hidden auto-fill forms and sold the information they gathered to advertisers. This small business was hacked. Are you next? How does cloud storage work?